A little seedy power cube of joy! We love this. 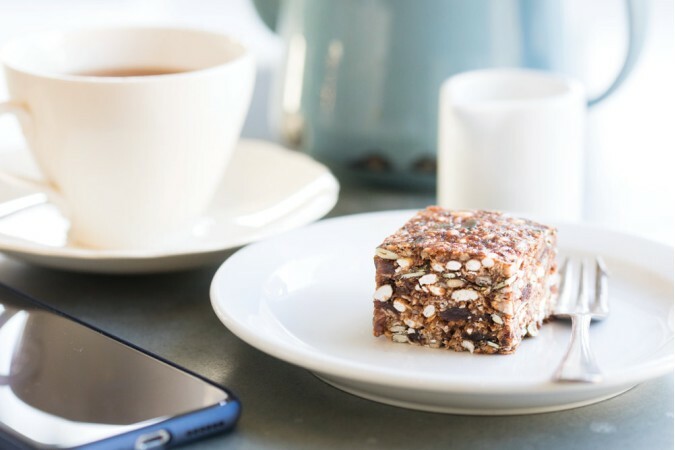 An absolute life-saver if you've missed breakfast or just want an (almost) guilt-free 'pick me up' any time of day. Packed with seeds and sweetened only with natural date puree, this treat is Vegan and, in fact, contains no allergens at all. Yummers! 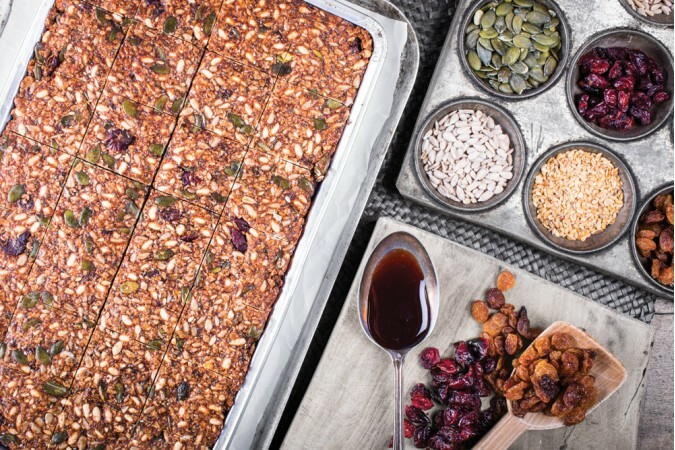 Date syrup, gluten-free oats, coconut oil, dates, pumpkin seeds, sunflower seeds, dates (dates, rice flour), sultanas, brown puffed rice (whole brown rice), linseeds, chia seeds, dried cranberries (cranberries, apple juice, sunflower oil), spices, salt.